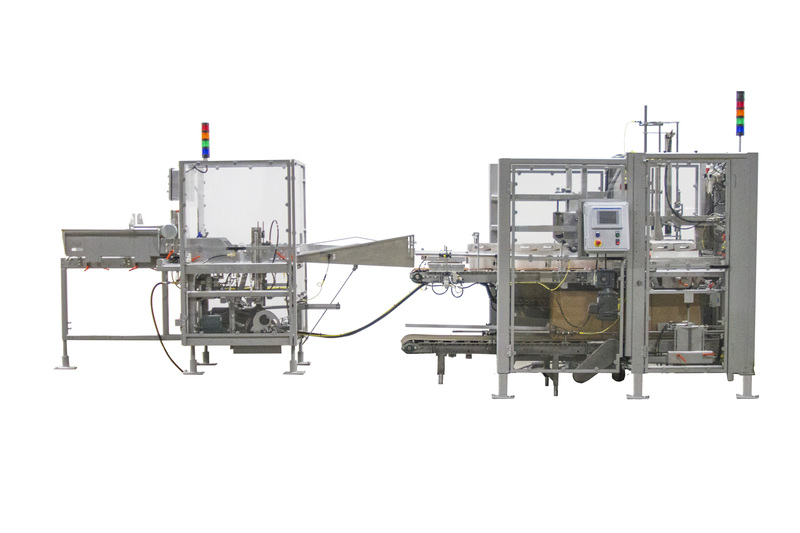 Pearson Packaging Systems, provider of turnkey end-of-line packaging solutions, announces today the release of its new BL60 Close-Coupled Beverage Line. The BL60 Beverage Line is designed to meet the needs of the craft brew and specialty soda industries with its reliable operation, compact footprint and flexibility to grow with manufacturers over time. The line combines Pearson’s core BE60 Carrier Erector and MP35 Multi-Packer with slight redesigns for an all-in-one solution built on more than six decades of proven reliability. The Carrier Erector forms 4-pack or 6-pack carriers which are packed into RSCs, HSCs or trays by the Multi-Packer at rates up to 60 carriers and 15 cases per minute. The machines are connected by a twin lane conveyor. An air knife lane diverter eliminates part wear and potential failure associated with mechanical lane diverters to increase overall equipment effectiveness (OEE). Additionally, the BL60 is simple to operate with a basic operator station and PanelView HMI and easy access for clearing jams and completing other maintenance tasks. The line is ruggedly built to last decades when properly maintained. Pearson has more than 60 years of experience designing, building, and servicing beverage equipment. The company originated in 1955 when founder R.A. “Lefty” Pearson created the first automated 6-pack Carrier Erector in his garage. Since then, Pearson has deployed more than 19,000 assets worldwide and has expanded its portfolio to include erect, pack, seal and palletize products as well as integration services. For more information about Pearson’s BL60 Close-Couple Beverage Line or other capabilities, visit PearsonPkg.com or call 509.838.6226. Pearson Packaging Systems specializes in the design, production, integration and service of secondary packaging automation solutions. As a systems provider, Pearson offers a full line of customizable machinery that erect, pack, seal, and palletize top-loaded cartons and cases.